US customers take the Moto 360 for granted, particularly because we've had the second-generation wearable now for months, but customers in say, Australia, haven't been so lucky. Well, their luck just changed. 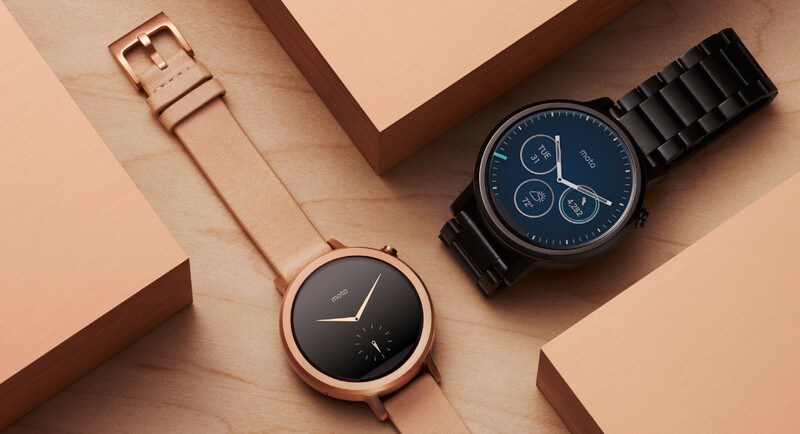 Just a few days ago, the second-generation Moto 360 landed in "The Land Down Under," Australia, coming with men's and women's sizes and priced at $479 AUD. All the wristbands Motorola has supplied for US customers should come locally, and Motorola has partnered with Harvey Norman to bring the Moto 360 to the area. The second-generation Android Wear wrist gadget for Australia is the same as that which has been released in the US and on the worldwide market: apart from the fact that the second-gen. Moto 360 features smaller wrist sizes for women as opposed to the first-gen. that only had large wrist sizes for men, the second-generation features a 1.56-inch, circular display for men (1.37-inch circular device for women), with Qualcomm's Snapdragon 400 processor, 512MB of RAM, 4GB of internal storage, heart rate monitor, wireless charging, and IP67 certification for water and dust resistance. Motorola was concerned with a better processor its device, with the company retaining much of what was loved about the first-gen. but giving it a better processor and a smaller display for the female wrist. Australian customers, as we've warned Americans, should be aware that the Moto 360 does have a design flaw that Motorola did not eliminate even on the second time around. It does have Android 6.0 Marshmallow now, though, so Australian buyers are getting the smartwatch at an optimal time. Android Wear 1.5 has already rolled out for the wrist wearable, and we're pretty confident that the second-generation device will receive the next big thing for Google's wearables platform. If you live in the Land Down Under or know someone who does, feel free to go ahead and jump in. Let us know that you purchased the Moto 360 as well as what type of bands and customization you added to the device.